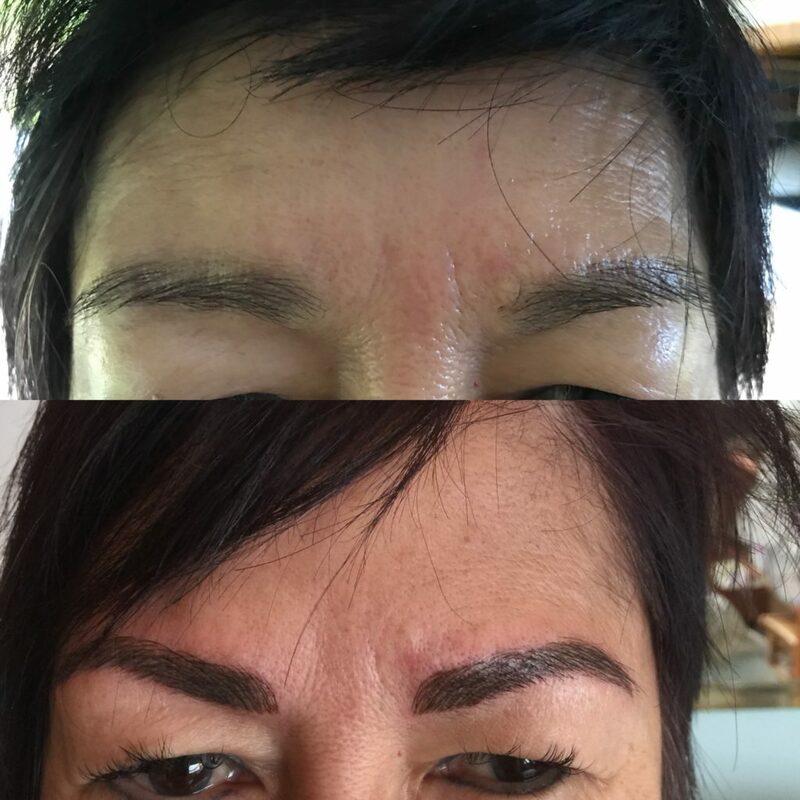 Photo above of before and after microblading, showing crisp lines. Brow microblading is a new semi-permanent tattooing technique that is perfect for those who want to fully reconstruct, define, cover gaps or fill in over plucked eyebrows. Those who just want a slight brow arch are also great candidates. We use a special micro blading pen to draw on individual strokes one by one, an extremely meticulous process which takes about two hours to complete. The results are a natural undetectable fringe.